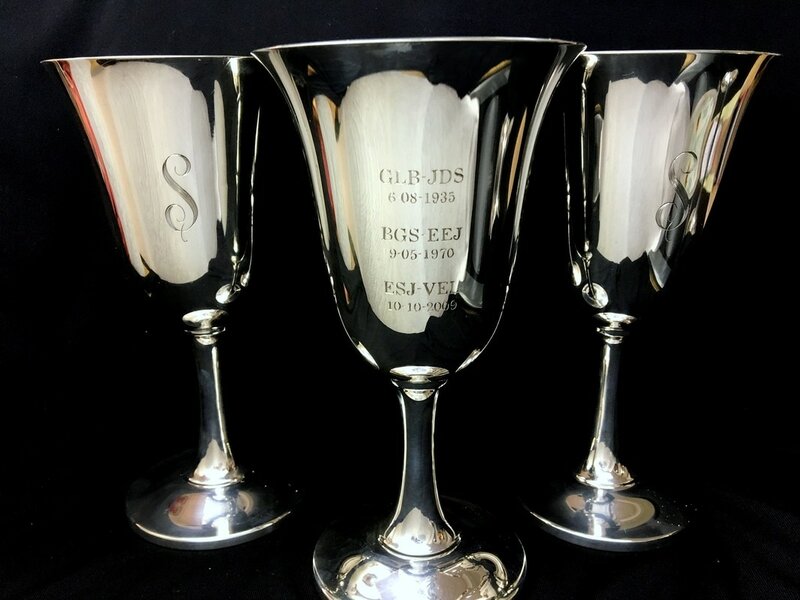 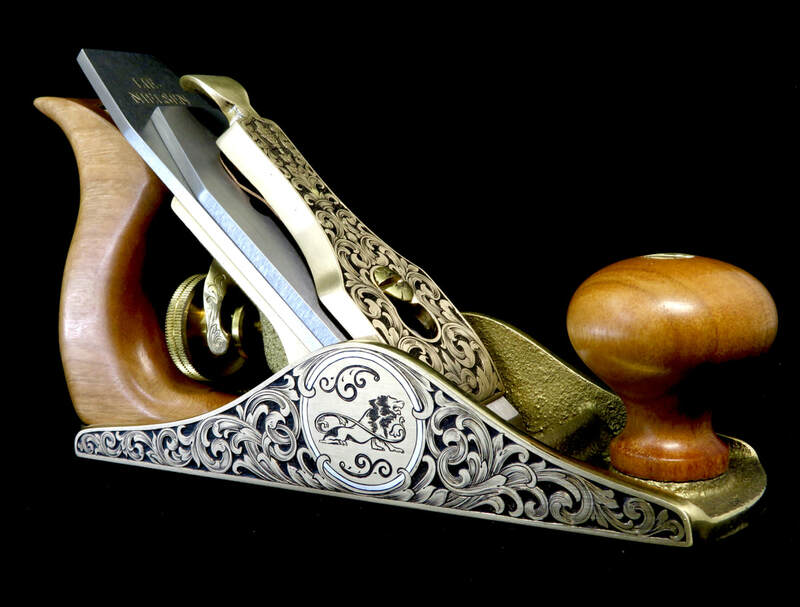 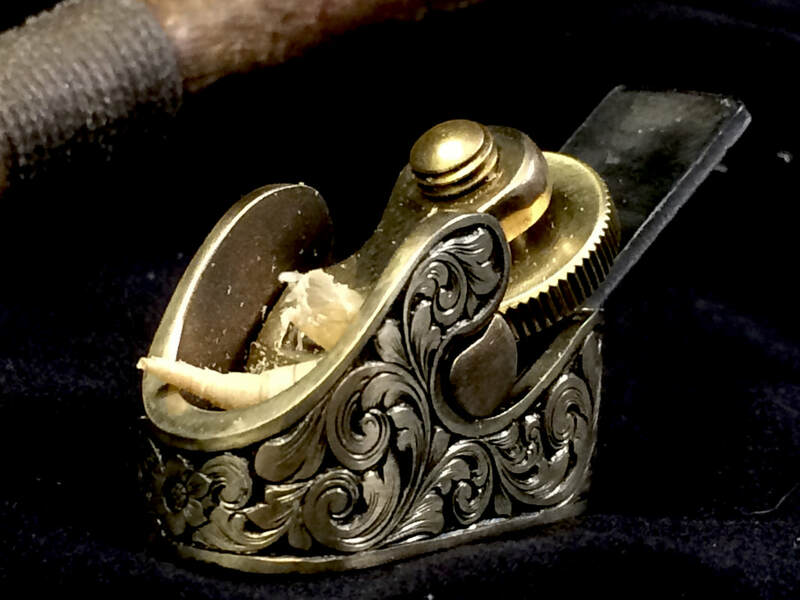 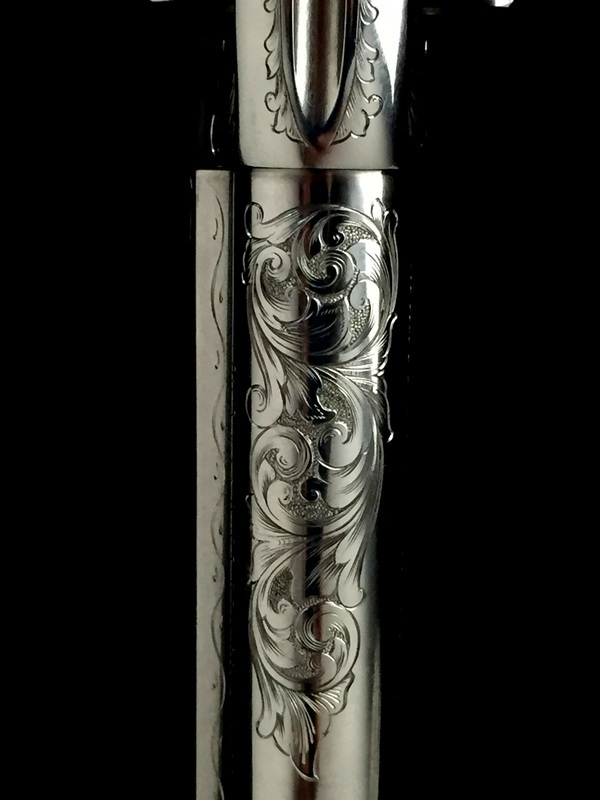 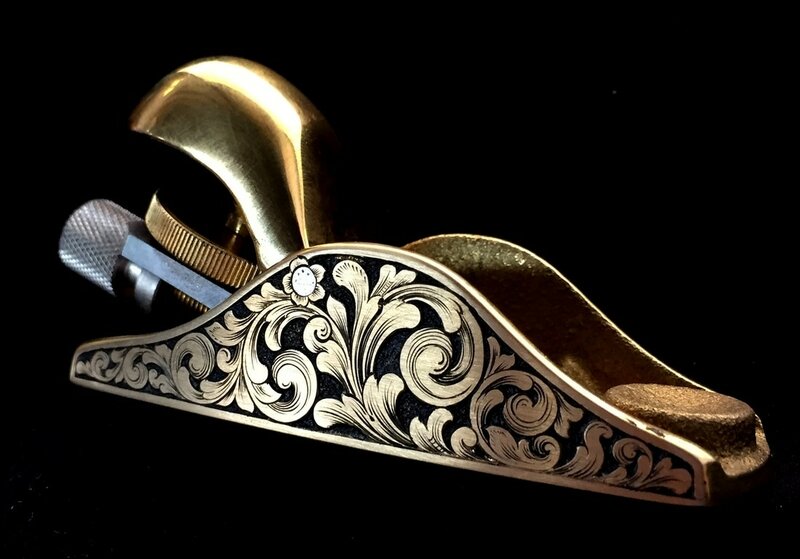 Hand Engraving is a centuries old art that has changed little since craftsmen first started embellishing metal objects. 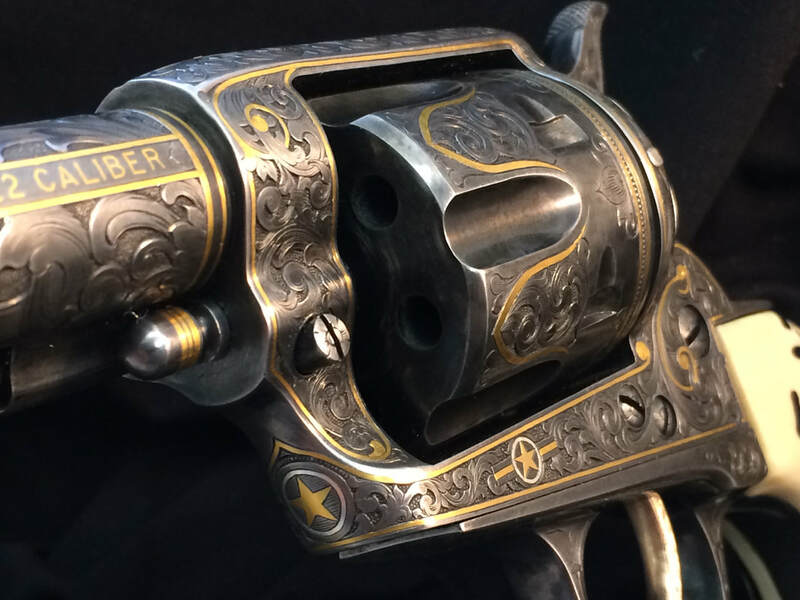 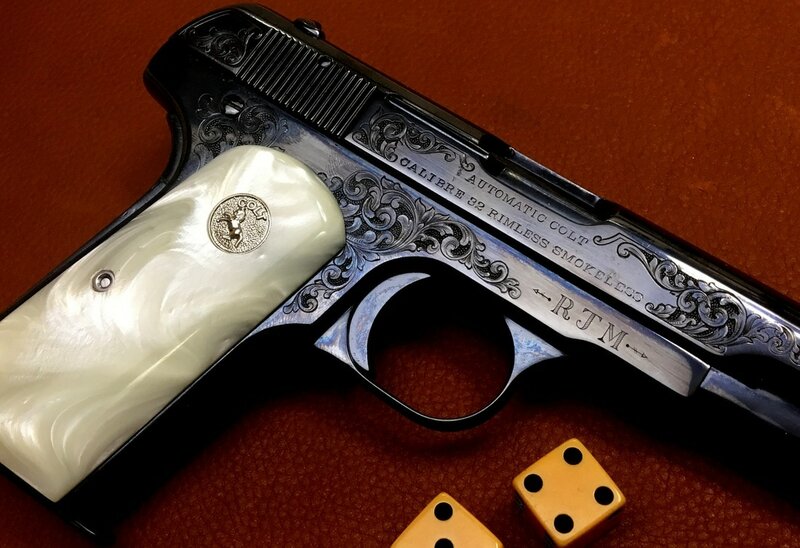 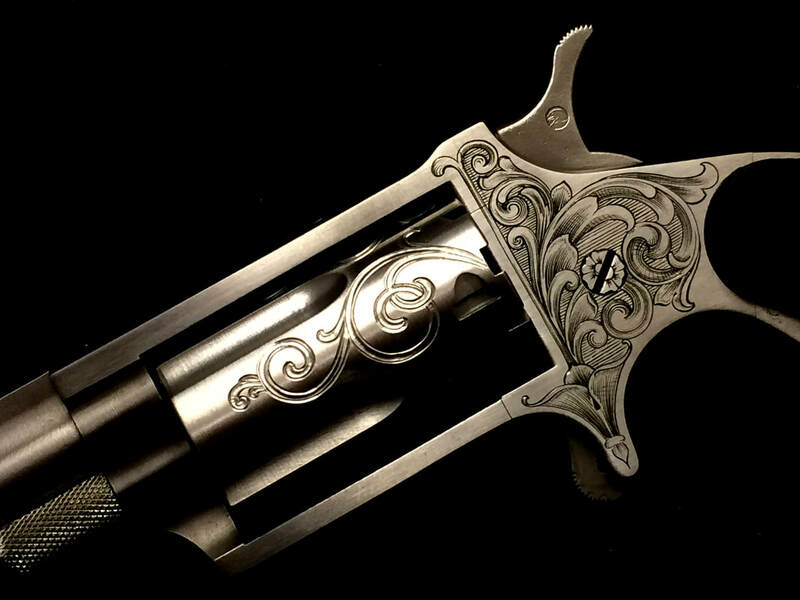 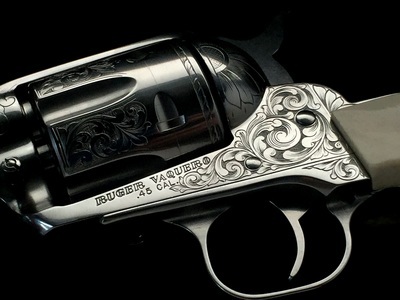 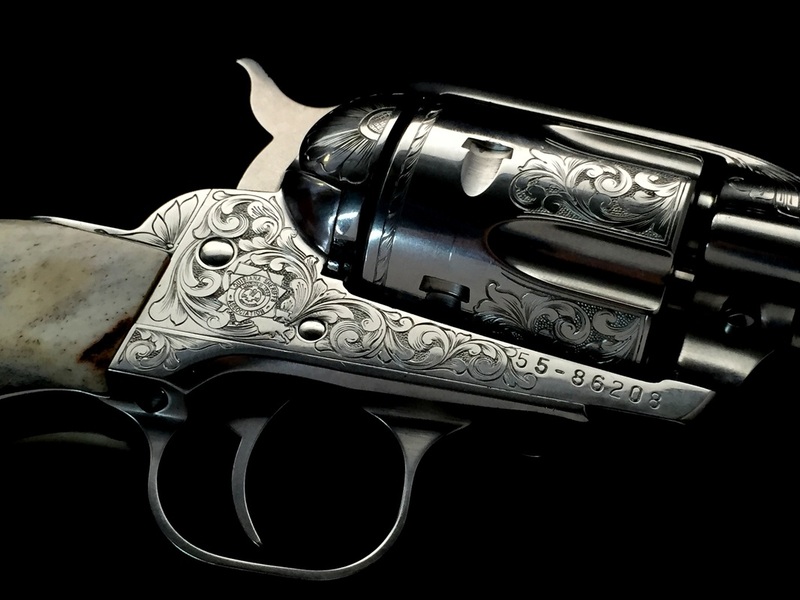 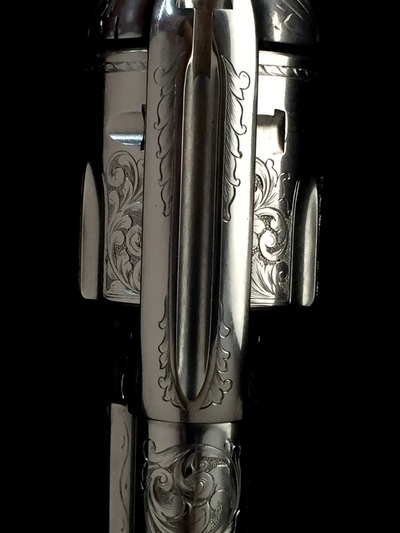 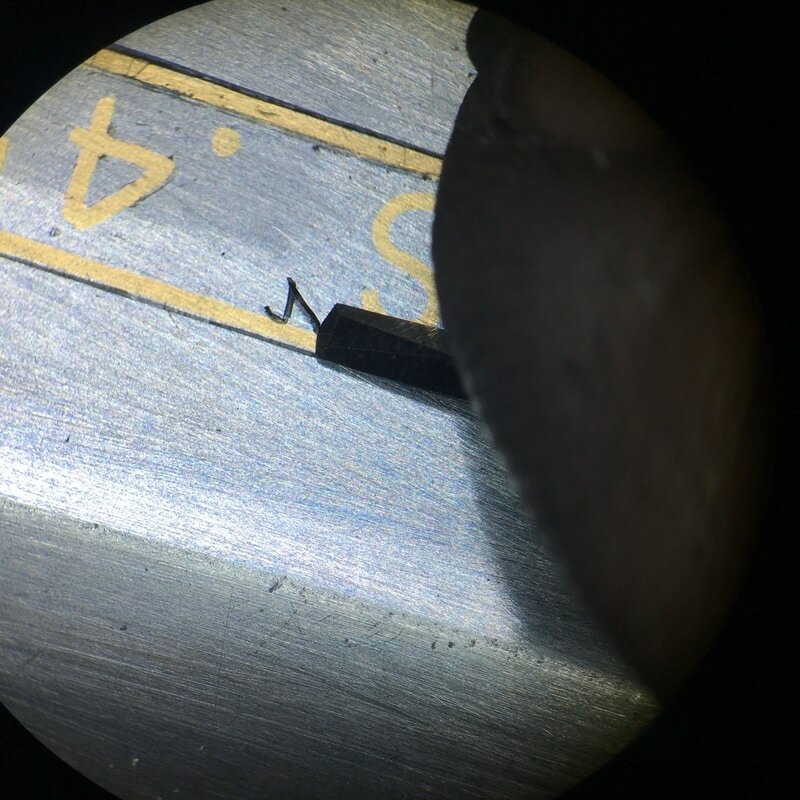 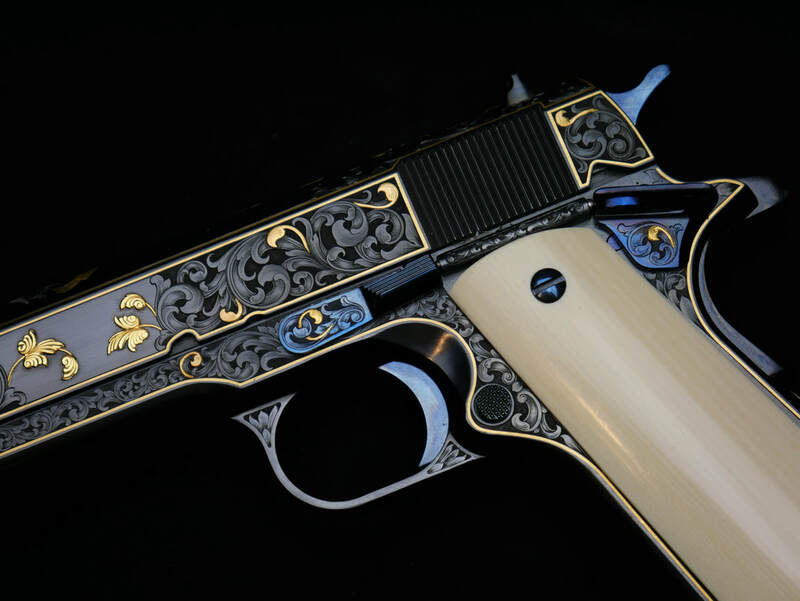 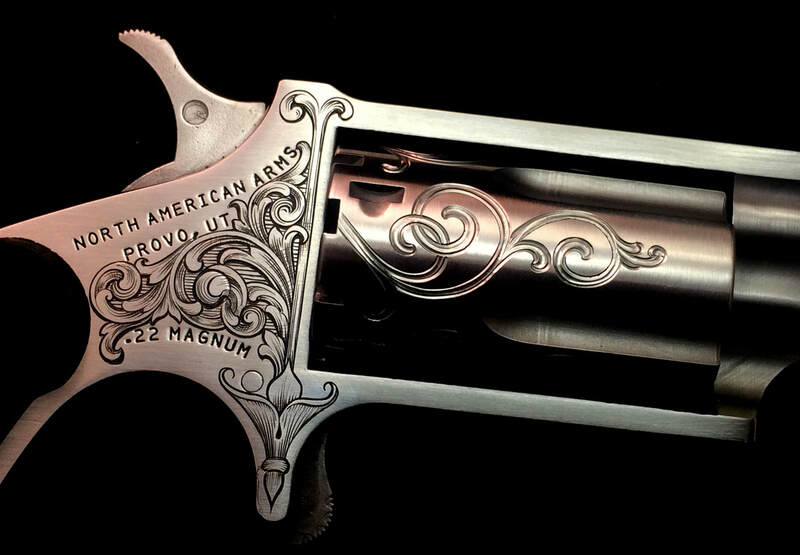 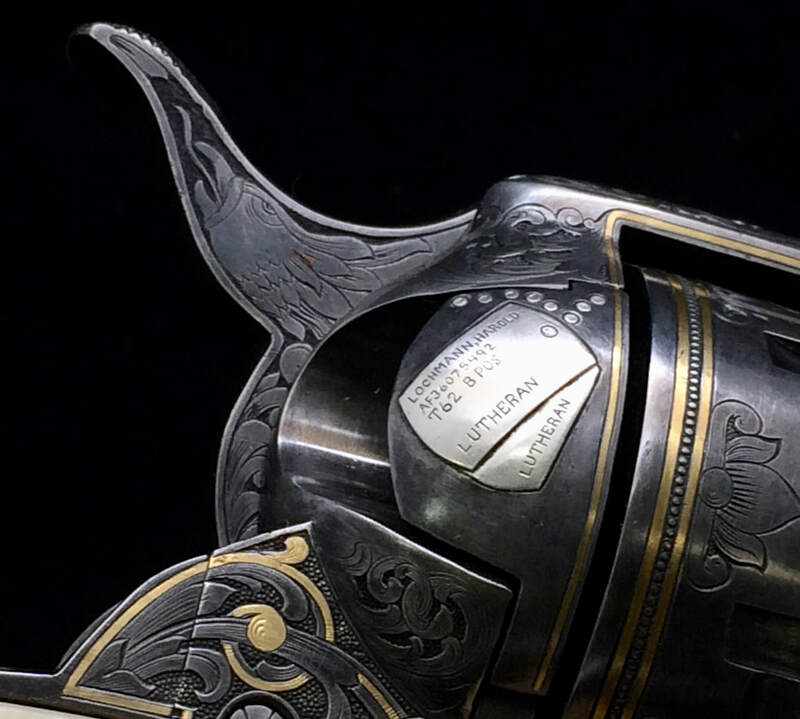 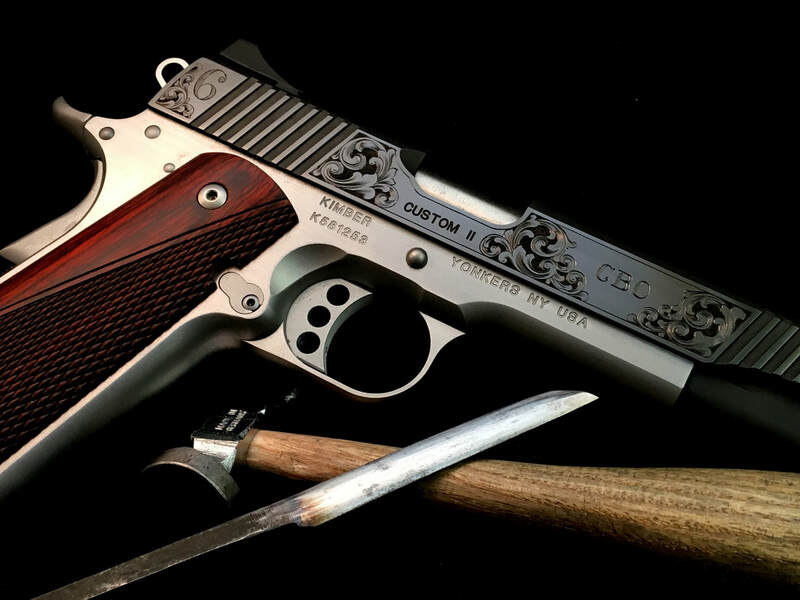 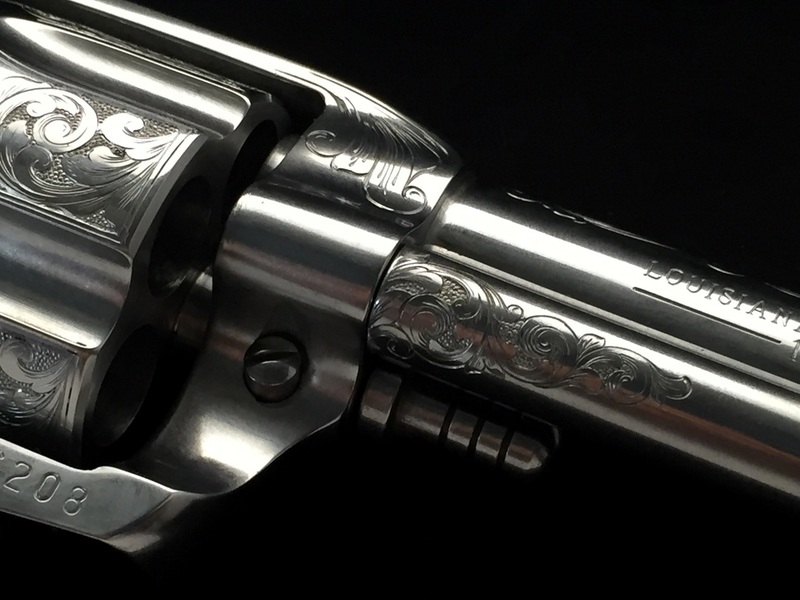 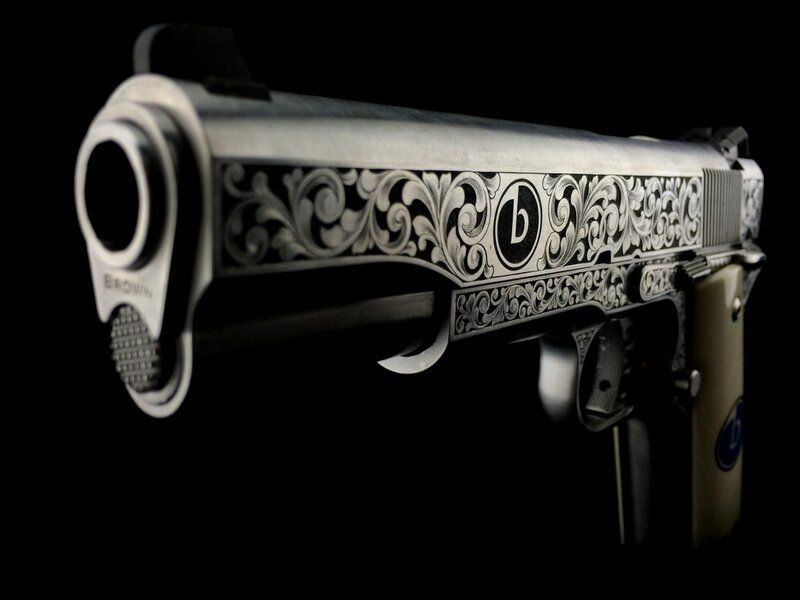 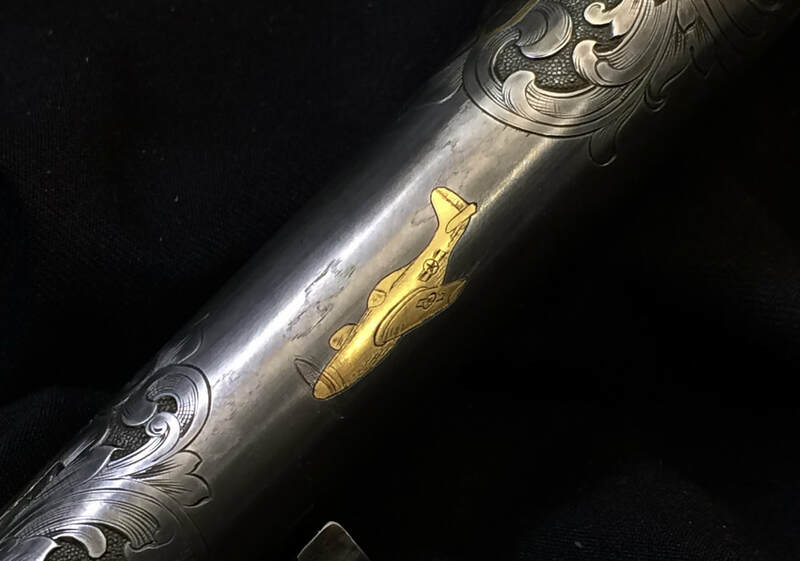 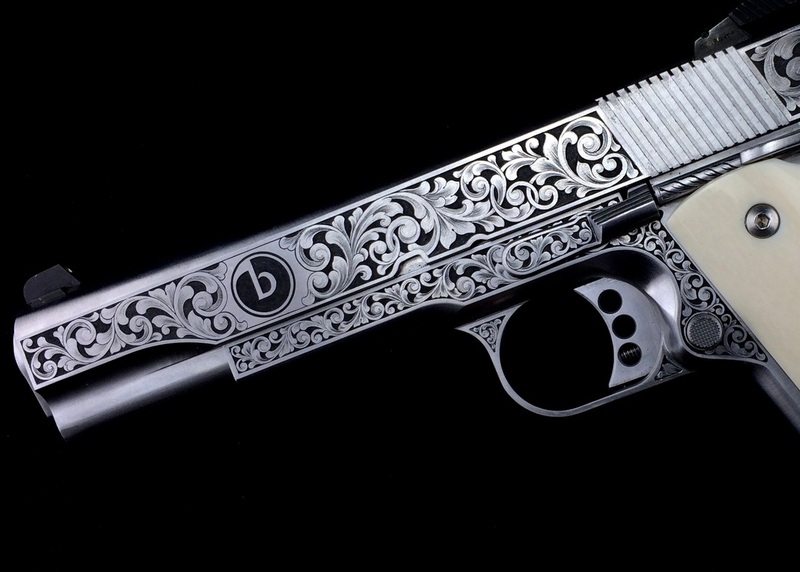 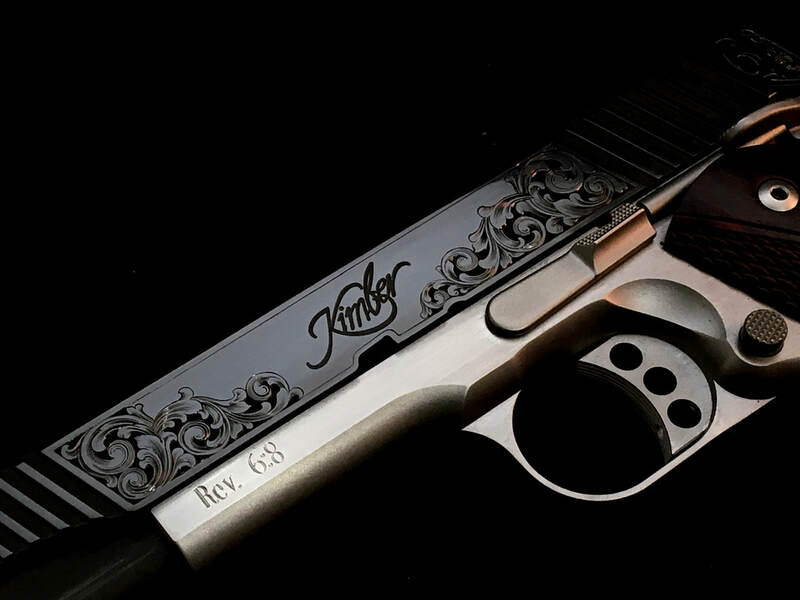 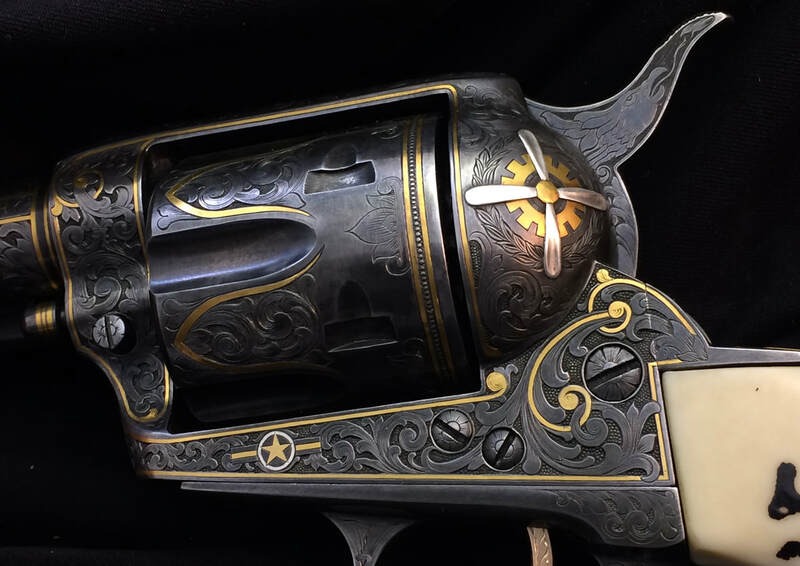 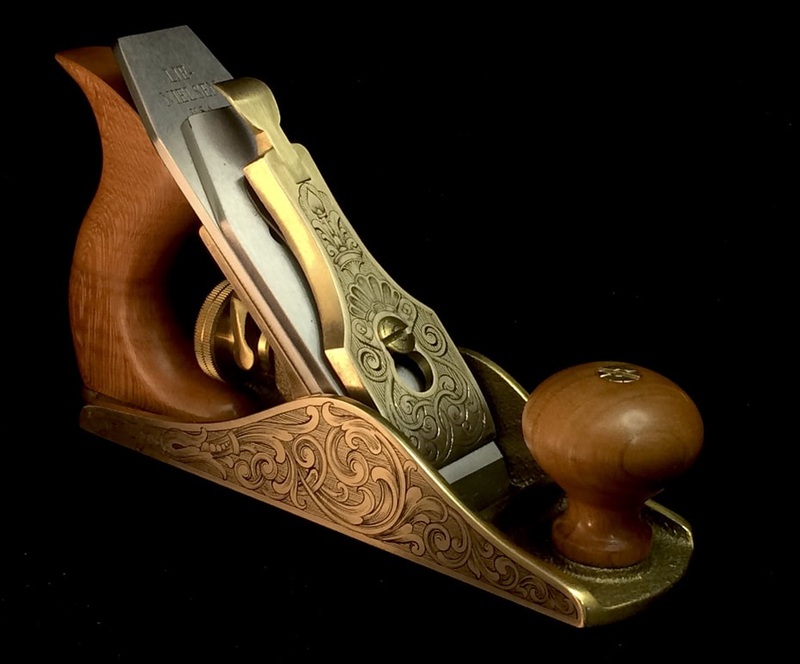 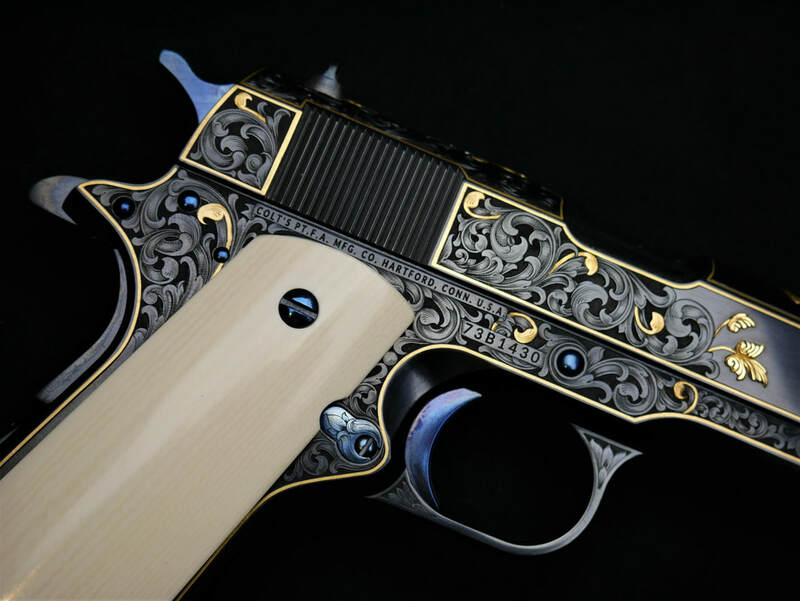 Today with modern tools and techniques we have transformed hand engraving from simple firearms decoration into a form of fine art that rivals anything you'll find in museums. 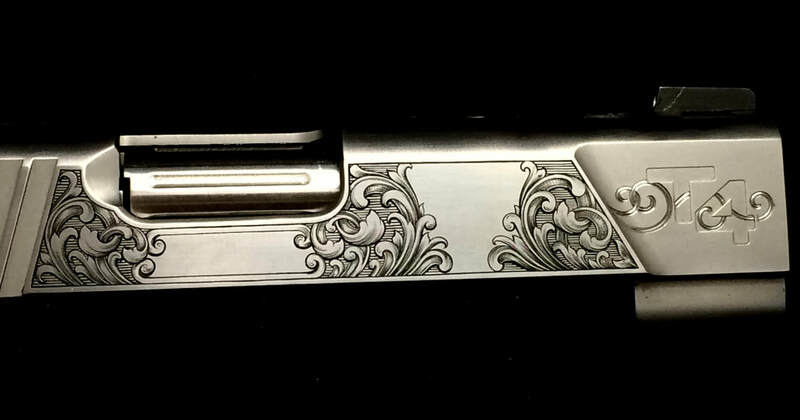 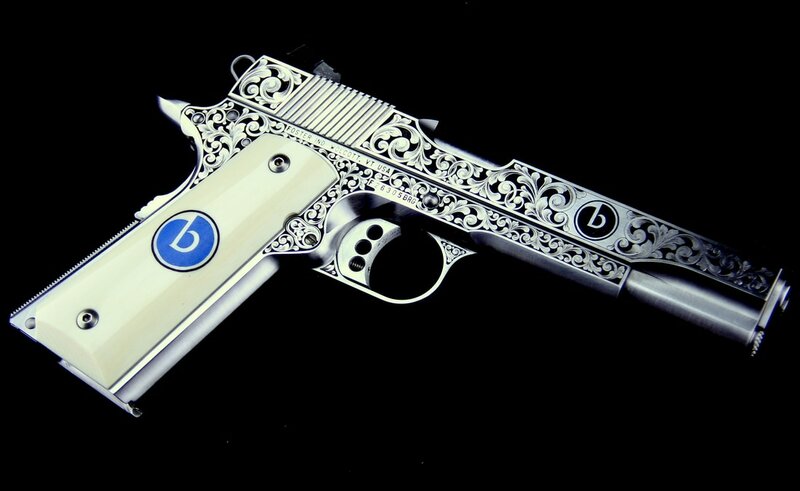 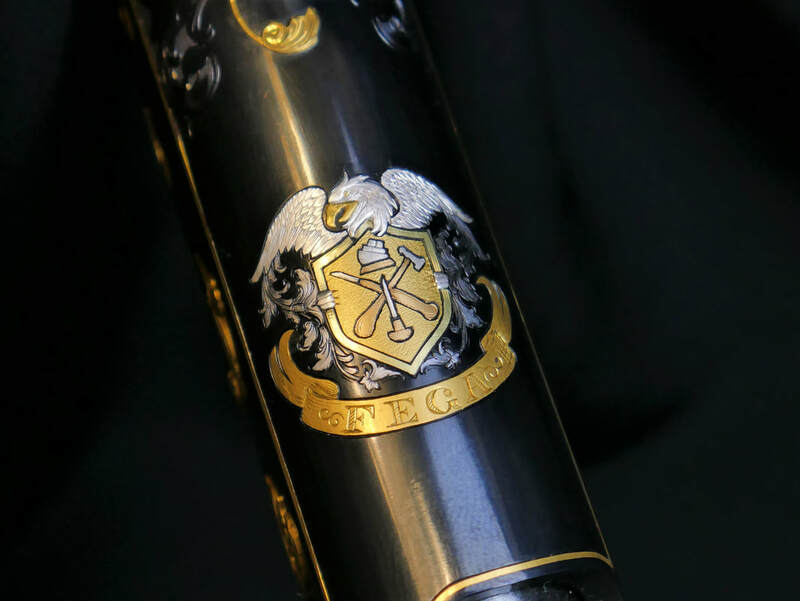 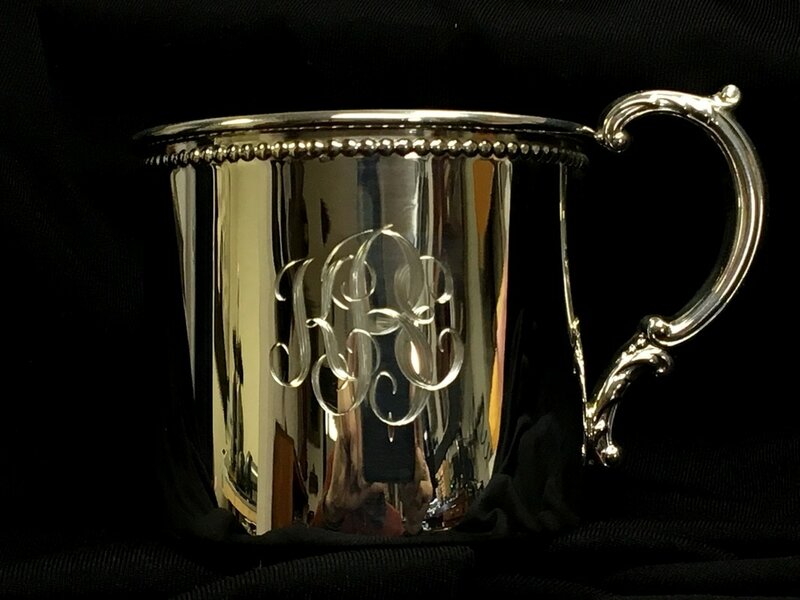 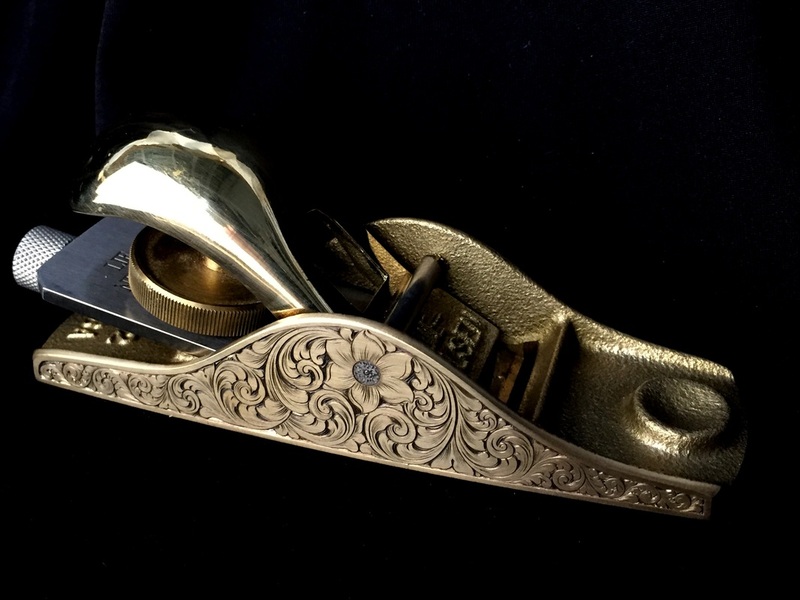 I engrave a variety of items ranging from firearms and knives to jewelry and fine tools. 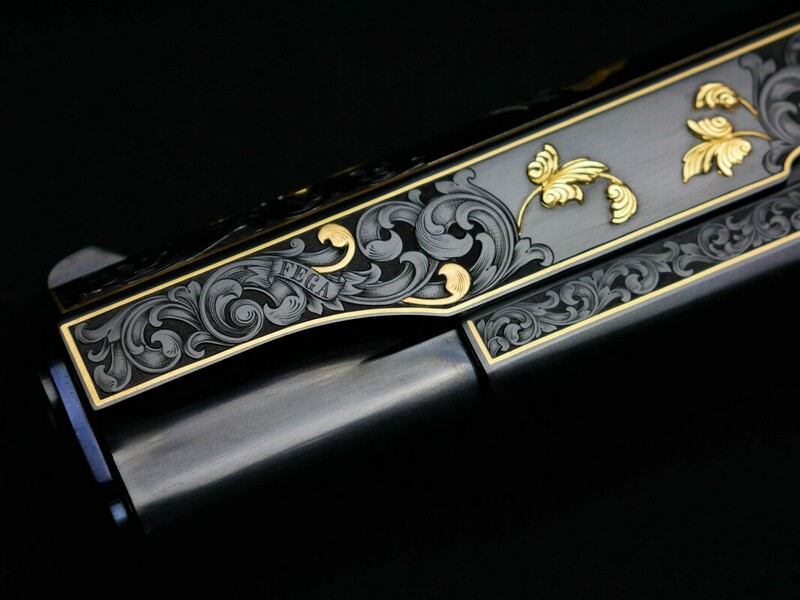 Contact me to discuss your project and we'll create a one of a kind artwork that will be cherished for generations to come. 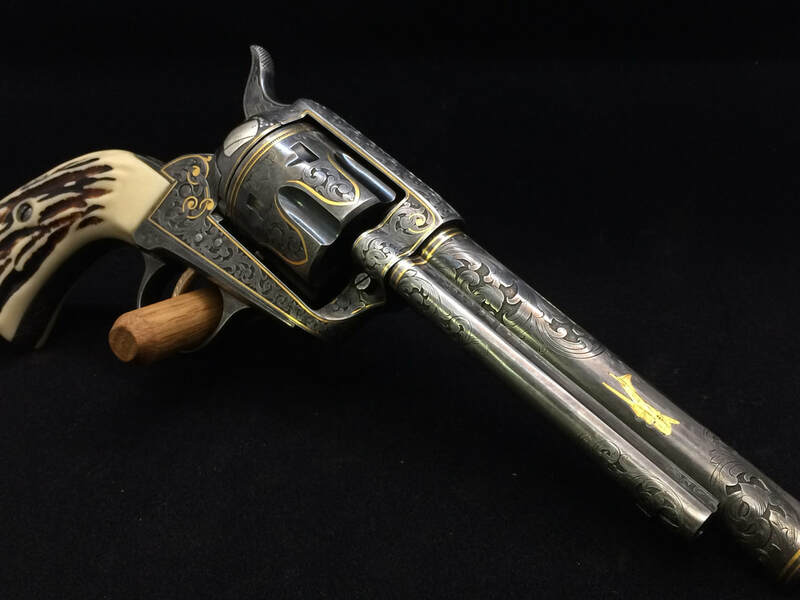 This pistol is one of a set of Great Western Arms SAA clones that was passed down to me by my great grandfather, Harold "Lucky" Lochmann. 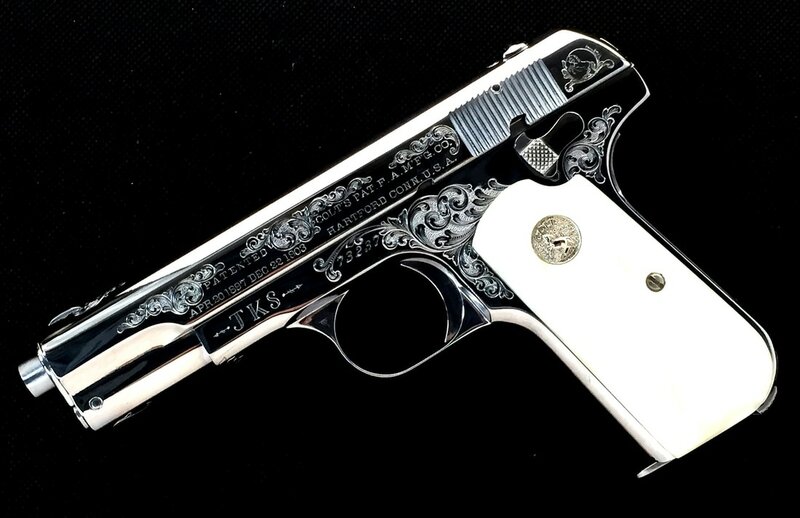 I decided to engrave a tribute gun to him and chose an Air Force theme since he was an aircraft mechanic during WW2 and the Korean war. 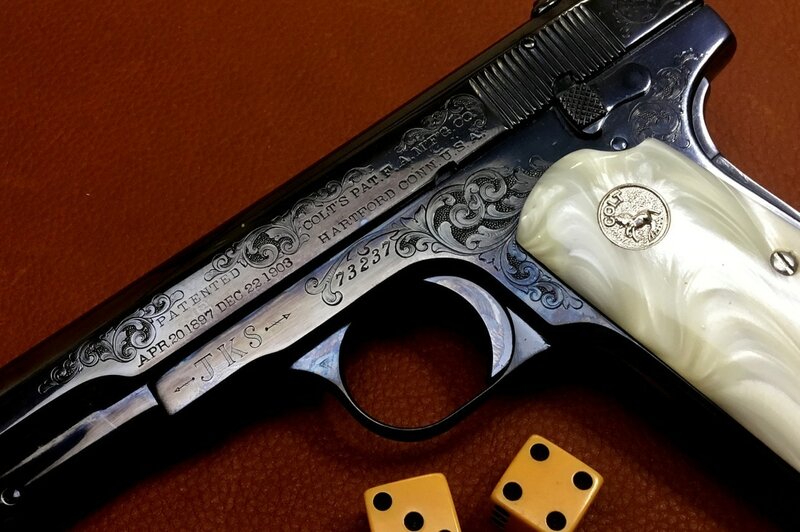 Hundreds of hours in the making, this gun has multiple raised and flush gold inlays including a P51 Mustang, a B17 Bomber, a replica set of his dog tags in fine silver as well as a tiny 1/2" Snap On wrench on the bottom of the grip frame. 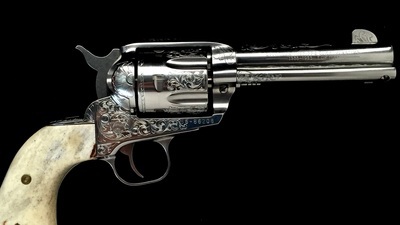 It's finished in an antique blue that I developed just for this project. 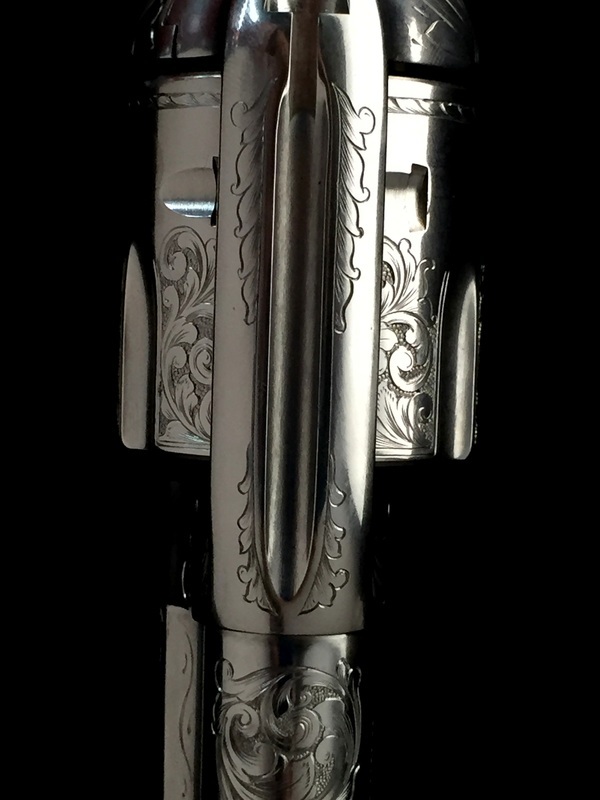 The gun was given the Artistic Uniqueness award by GRS Tools at this years FEGA Convention. 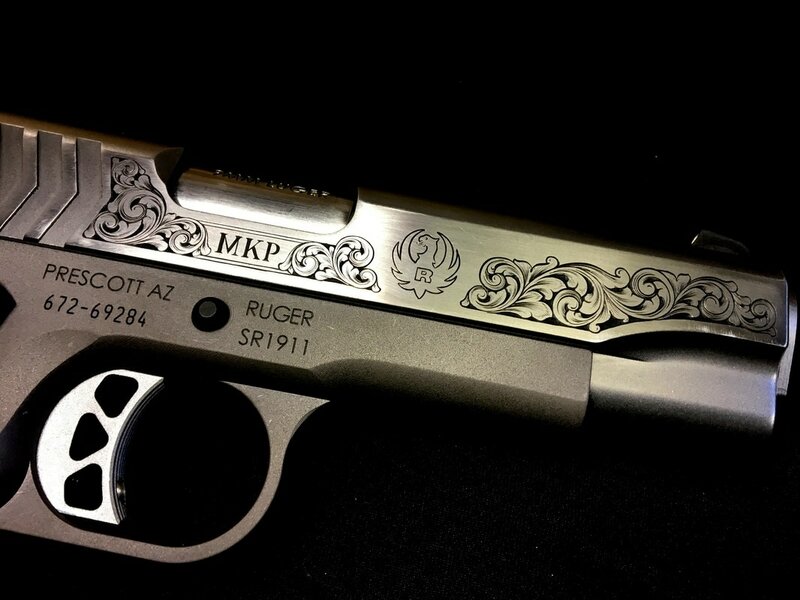 To learn more about gun engraving be sure and visit Master Engraver TV on Youtube. 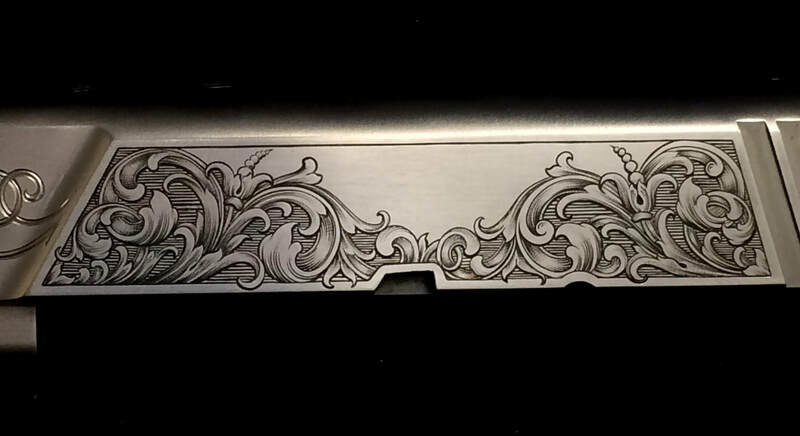 I post weekly videos featuring hand engraving techniques. 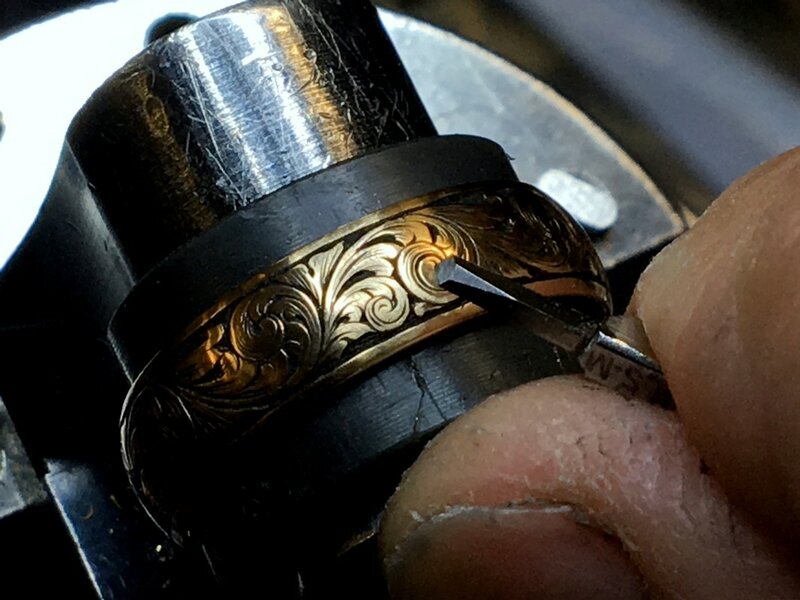 If you are interested in just how we do what we do, you'll get a peek into the studio. 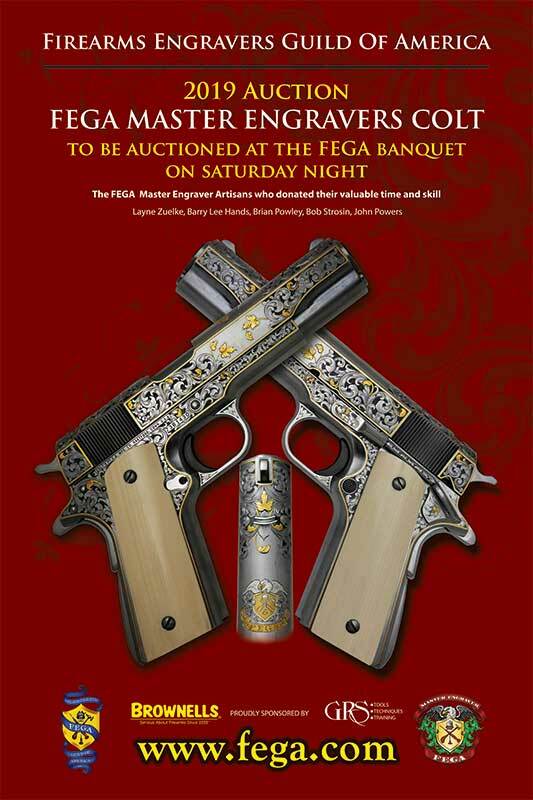 Castings of the FEGA Colt 1911 are now availavle on the product page. 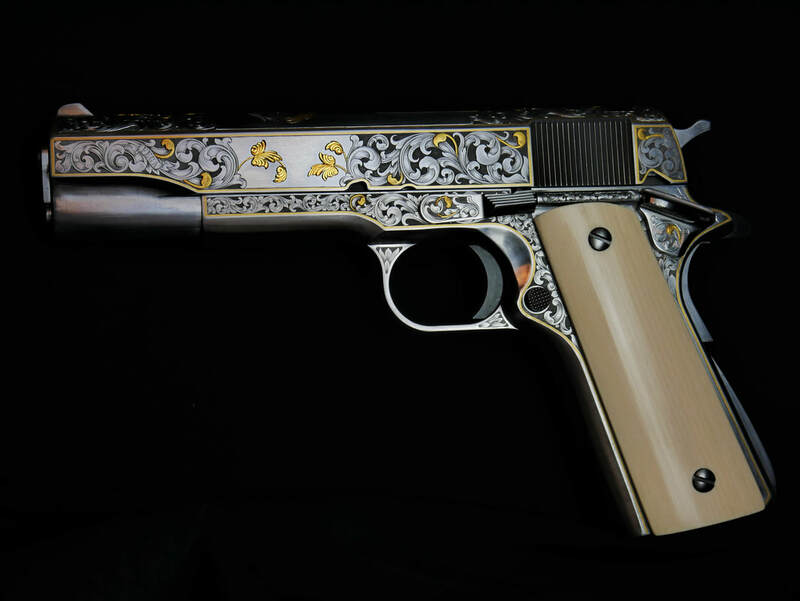 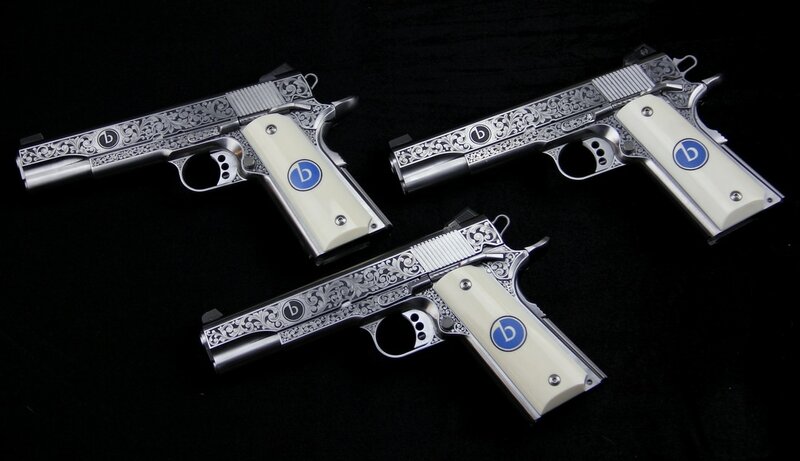 This set of 3 1911s was custom made for a client based on Caspian frames and slides then engraved with finely shaded American scroll. 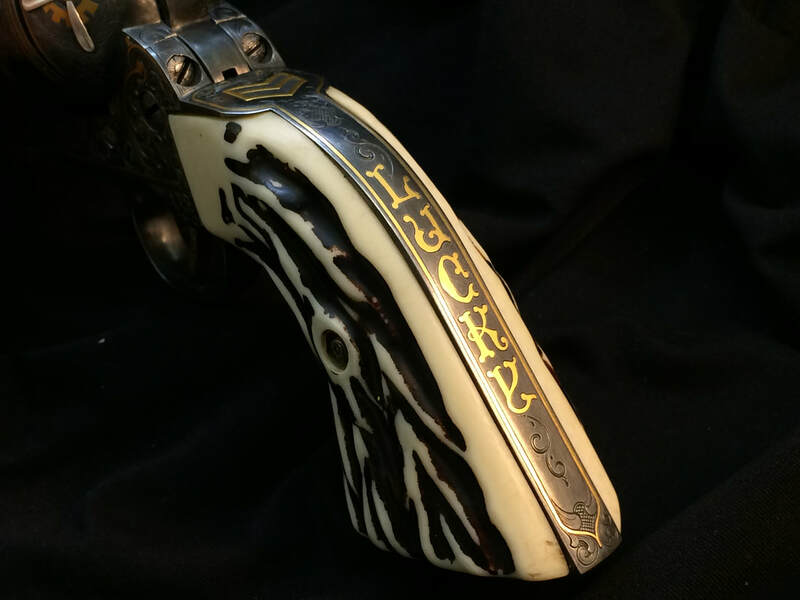 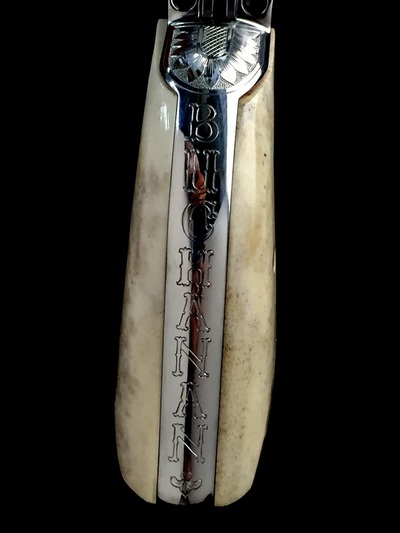 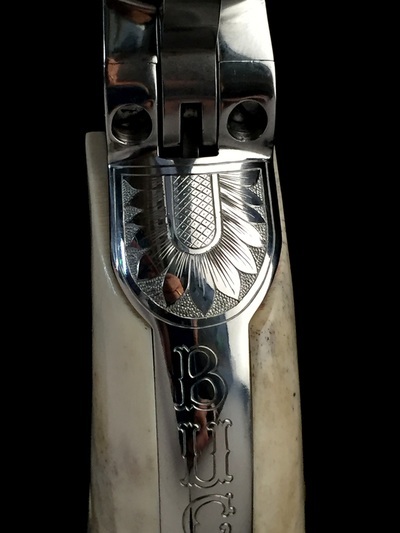 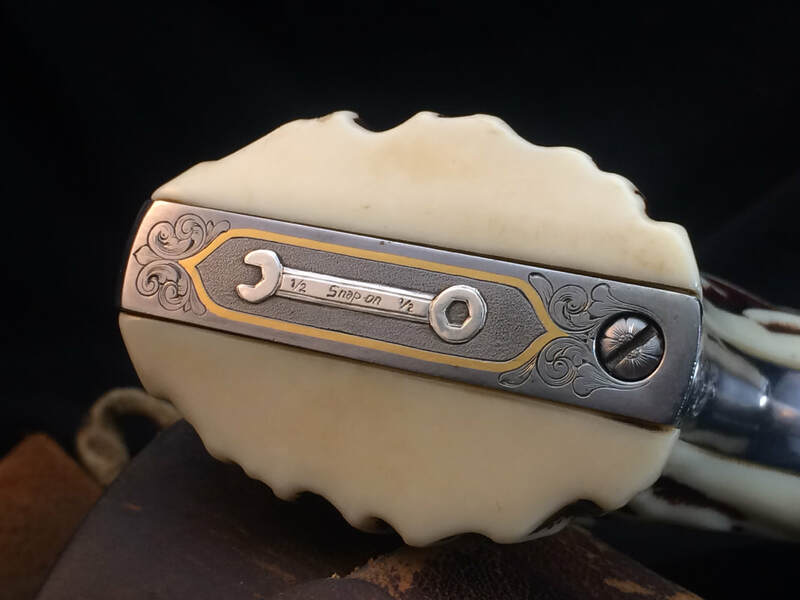 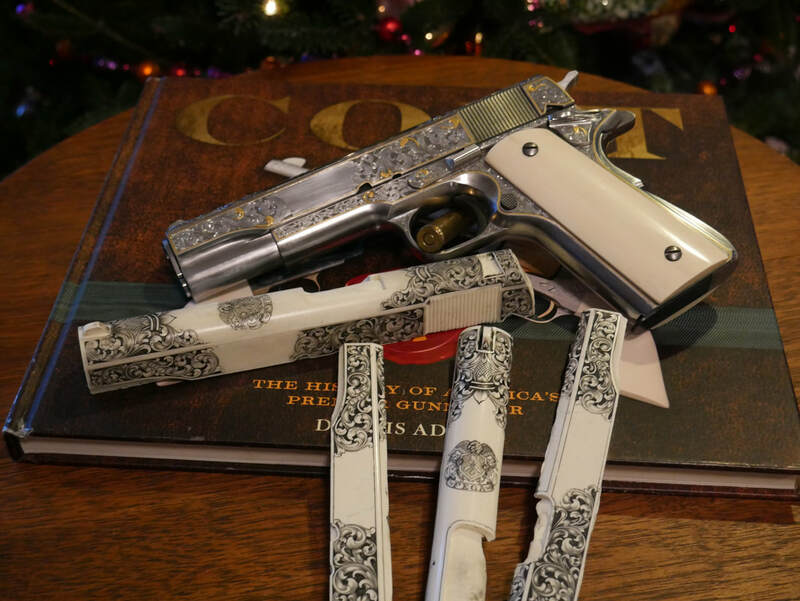 They wear ivory grips with scrimshaw logos by Katherine Plumer. 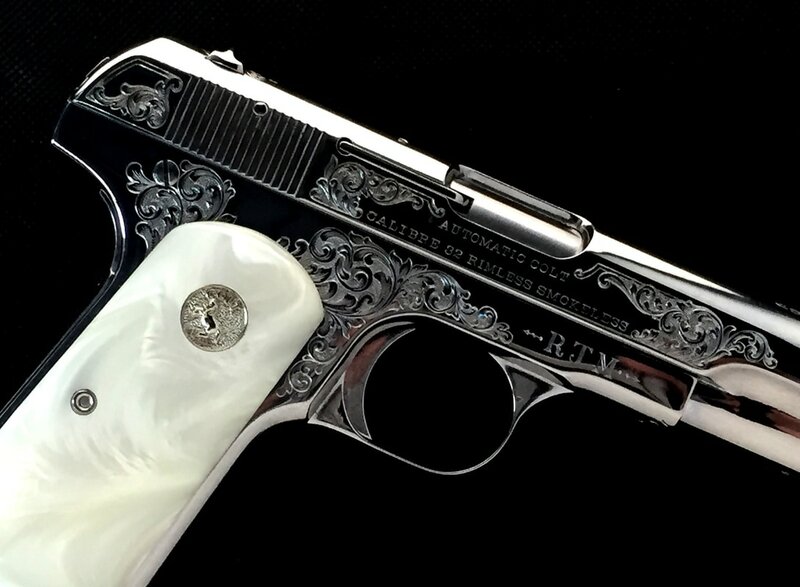 Ruger 1911, stainless steel slide.